Key in your pick-up and drop-off location to get your estimated fare. 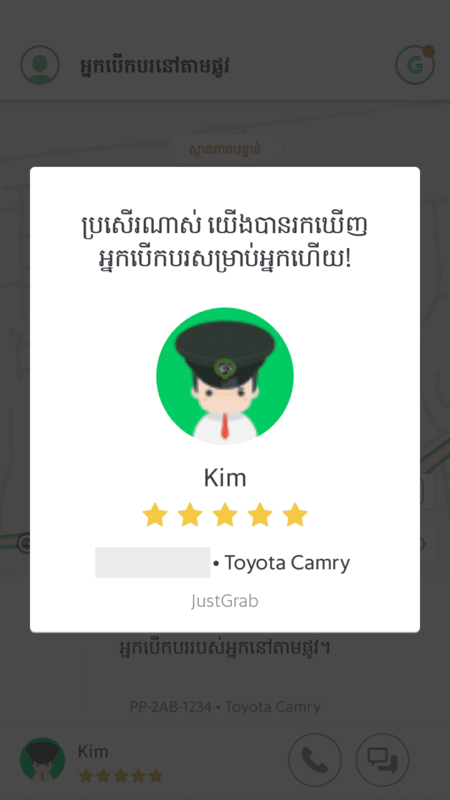 Grab will assign you the nearest available driver. Your driver is on the way. 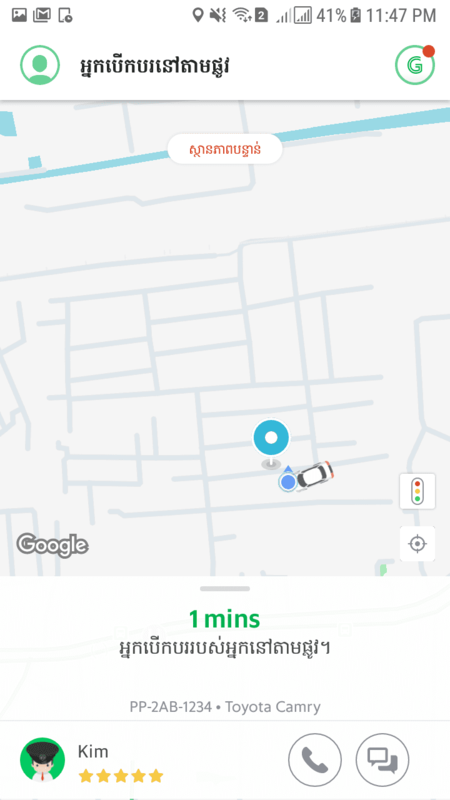 Track your driver’s location in real-time using the app. 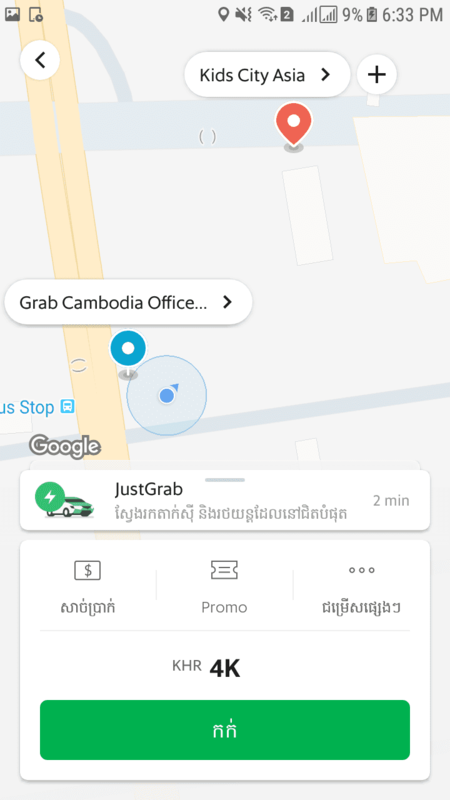 Grab is the leading ride-hailing transport application in SouthEast Asia. 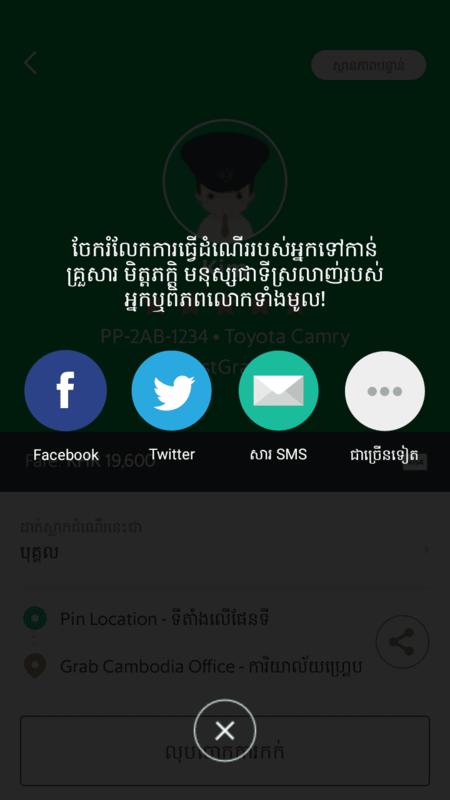 Grab makes transport accessible to all by matching passengers with the nearest drivers. Which promo code can I use? Please follow our Facebook page for the latest promotions. I can’t resolve my issue. Who do I contact? 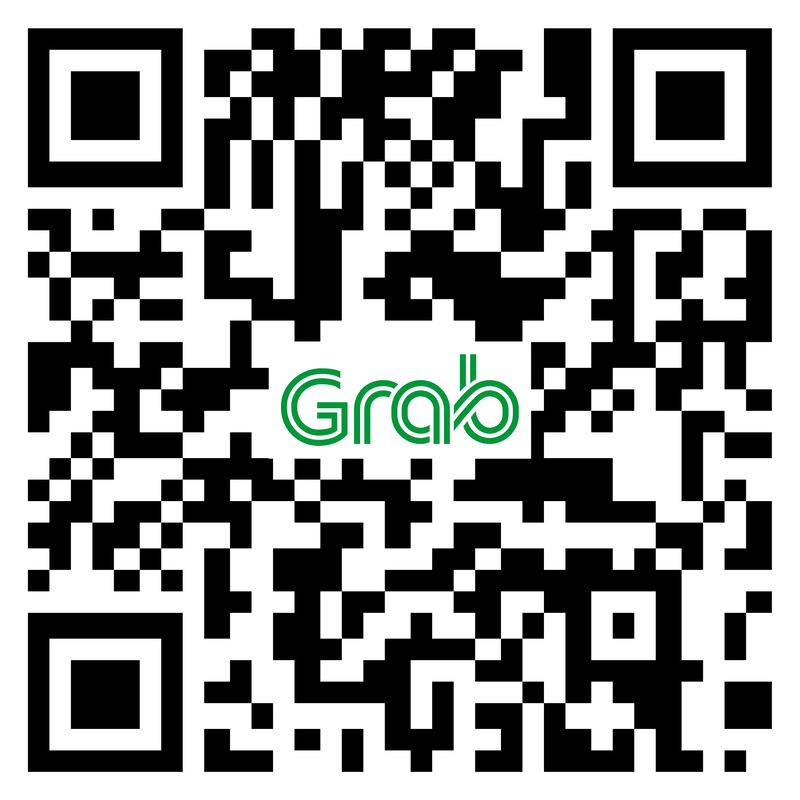 Please email us at support.kh@grab.com and we will get back to you shortly.